Bringing warmth to a place that surely needs it. I am training to run in the Miami Marathon this January, with the help of God. I am running for something important. I am running to raise money for Chai Lifeline, an extraordinary organization that is dedicated to helping children who are ill and their families. I am eager to take part in this. However, I know I can’t do it alone. I need your help. Chai Lifeline is a wonderful organization that provides year–round emotional, social, and financial support to more than 4,500 children and their families every year. Chai Lifeline´s programs and activities change their lives forever, bringing joy and hope and enabling them to live full and happy lives despite their illness. 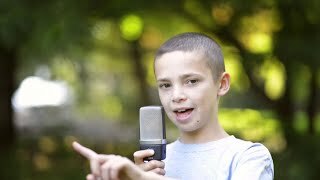 Its most famous program is Camp Simcha and its sister camp, Camp Simcha Special. Every year these two camps offer 450 kids a chance to forget about illness and just be kids again. I was a staff member for Camp Simcha this past summer. To get a better idea of what Chai Lifeline does for families, please watch the inspiring, touching videos below. Training for my marathon is not so easy, but neither is dealing with illness. If the children of Chai Lifeline can fight their illness, and manage to push through all those hospital stays and treatments each day, then I can do this for them. But I can't do this without your support. I need your help to raise as much money as possible for these kids. Please contribute! Please help bring these kids some smiles and hope! Thank you very much. 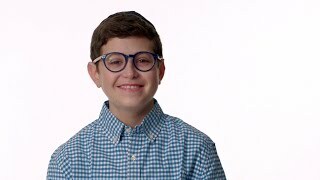 Dovid--You are a superstar! We are so proud of your hard work, generosity and the amazing man you’ve become! Good luck to you & all of those running and raising money for Chai Lifeline, an awesome organization! I'm another fan rooting for you. Good Luck Dovid ! Hashem should continue to bless David Margolis with a kindhearted and genuine neshama, always bringing light and life to the world and everyone he encounters. Kol HaKavod David!! Keep doing great things and hatzlacha in the marathon. Run Dovid Run! Cheering for you and tizke limitzvot! l'iluy nishmas Chaya Miriam bas Zev Halevi. Our family is very proud of you, Dovid. Margo your amazing Kew bring smiles to the world!!! Success comes to those who never stop running... Keep running Dovid!